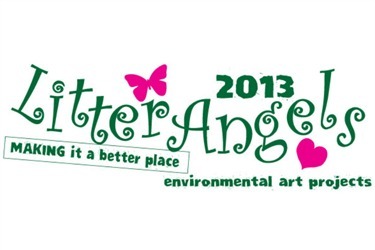 Litter Angels is a campaign that centres on providing fun, information and educational art based workshops, which engage, encourage and develop an awareness of the problems that face our environment. The charity was set up in 2008 by Gordon Henderson, MP for Sittingbourne and Sheppey to safeguard our beautiful landscapes for the future. Helping young people in particular, initially within Swale, to understand and raise the profile of “why we shouldn’t Litter”. The Charity has grown and is now spreading its message nationally. Litter Angels are available to attend schools, community groups, individuals, festivals and events and are actively involved in litter picking activities and offer a wide range of workshops using found materials. We work with lots of Swale based artists from other genres so please contact Sioux Peto on 01795 522566 for more details, prices and times for tailor made workshops for you and your group.